Accepted for publication in "Senior Life Style Magazine"
Many aging families struggle with the uncertain future of keeping elderly parents safe and comfortable. The realities to be faced about this frequently occur after a major loss — loss of a spouse, significant health decline, reduction in Activities of Daily Living (ADL), difficulty coping and adapting to changing circumstances, and financial setbacks. When these losses occur without any respite time for adjustment and coping, older parents may be faced with making choices that seem extreme and even unfair to them. Given this glimpse of the reality of caregiving, we (as counselors/educators) know that individual and group counseling of older adults and families regarding moving, getting help, or changing residence are often fraught with difficulties. Adult children feel uncomfortable and ill-equipped for such tasks, perhaps having had unpleasant conversations about these issues in the past and feeling anxious about facing them again. They often lack the skills or determination to follow through. Older parents find themselves in a position of discomfort and stress. They have endured losses and are now faced with another potential loss — of a family home and moving to a residential community or assisted-living facility. They may become sullen, angry, or resentful. They may believe that things are not as bad as others see them and feel there is no advocate for their wishes. The children’s need to see them relocate for comfort and safety and the older adults’ wishes to remain in their home under all circumstances often results in a stalemate. Frequently, older adults will deny that they need care and try to rationalize about how they will cope. This may be the first time adult children have seen parents afraid and fearful about their own future. For older parents of sound mind, autonomy, self-determination, and freedom of choice are paramount to them. But even they may not realize the risks of remaining in their circumstances without any help. They may be emotionally and intellectually unaware of the difficulties that lie ahead. These cognitive deficits can cause anosognosia — the inability to recognize lapses in thinking and functioning despite clinical evidence of the opposite. Many elders refuse health agency non-medical help, even if funding is available, because they view it as an intrusion into their home. Having an adult child provide needed care seems much more acceptable to older parents. 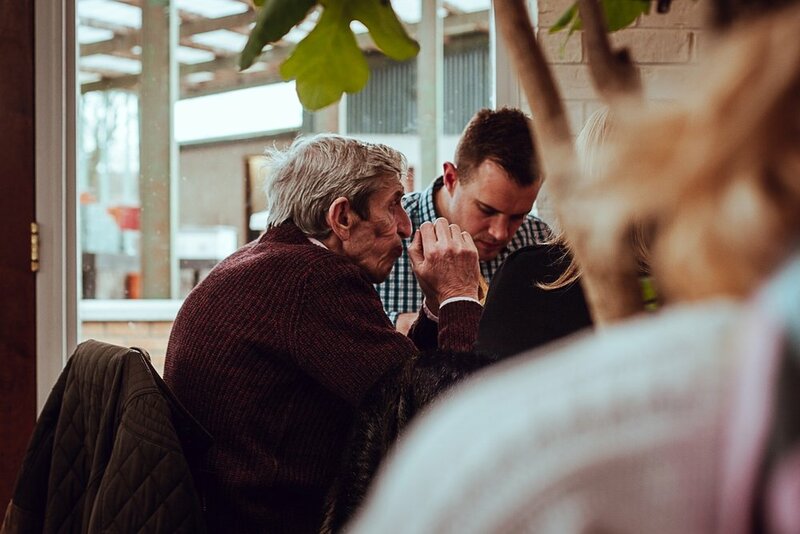 However, the task of caring for an older parent while maintaining their role within their own family can create the potential for health and welfare problems for caregivers and their own family. The central ethical principle that needs to be addressed centers on the question To whom is the moral duty owed? While counselors and educators both work with families to facilitate these difficult conversations, we must also be aware of the ethical dilemmas confronting the family. The choices are seemingly impossible, for whatever decision is made and however it is made, someone “loses” something. There can be estrangement between elder parents and their adult children that may never be repaired. There may be anger and resentment that remain unevaluated and unprocessed. There can be self-recrimination and guilt if an elder deteriorates or their quality of life is damaged by lack of assistance. This can be a time when adult children believe they have not done enough, only to realize later they have done all they can. Helping a family navigate through such troubling times requires skilled and knowledgeable professionals — family physicians/geriatric specialists, agencies devoted to senior care and aging-related issues, gerontologists, clergy with special skills and experience in elder issues — as well as friends. In this way, the whole person —mind, body, and spirit — is protected as much as possible. Minimizing risks while maximizing quality of life are guiding principles that can help in this process. Getting the right information at the right time can help with the decision-making process. Counselors and educators assist people in sorting out the realities of their unique family circumstances while adhering to professional standards of conduct and awareness of individual and family needs over the human life cycle. But paramount over all is the need for empathy and compassion to all involved. We must listen to what they are saying and feeling. At the same time, counselors and educators themselves require supervision and time for reflection to avoid our own burning out or becoming impaired. This can be a time when we believe we have not done enough, only to realize later we have done all we can. Let us end with the Hebrew word tikkun. It is somewhat difficult to translate. However, it generally is defined as restoring, balancing, and bringing a situation or experience to its fullest potential — a worthwhile goal in the care of aging families.